I had my next scan today to check up on my cyst. I have had a bit of pain but not as much as I had before so I am very hopeful that it has shrunk. 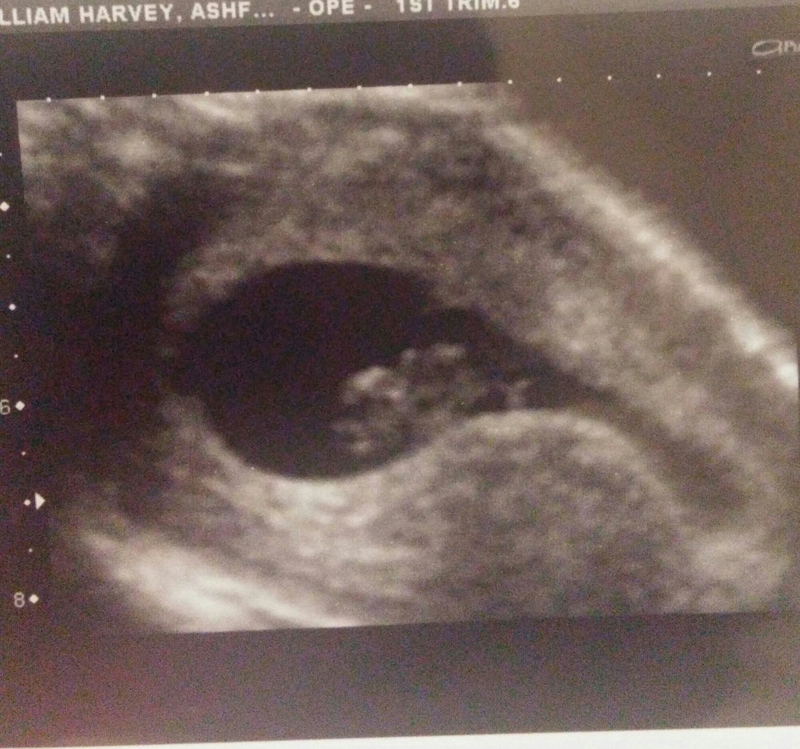 I was especially nervous again today before the scan, being this early, you have no real physical pregnancy symptoms so until you see the little heart beating away on the screen, it is hard to really know what to think! There was a bit of a wait today, not good when you have a full bladder, you could see everyone in the waiting room trying not to think about their full bladders! Finally I got called in and the distraction of what I could see on the screen took the feeling of desperately going to the toilet away. At this scan you could very clearly make out the embryo, it now was beginning to take the form of a foetus and must of been about 6 times or so bigger than when we saw it at 5 weeks and 6 days. The cyst was still there but has slowly started to shrink which is good news, the EPU nurse said it was now fine to wait for the 12 week scan. Only 3 or so more weeks to go until we get to see our baby again!